‘Action speaks louder than words’ and when you combine both you get a vital learning tool, Role Play. It allows students to explore day-to-day situations by interacting with their peers. 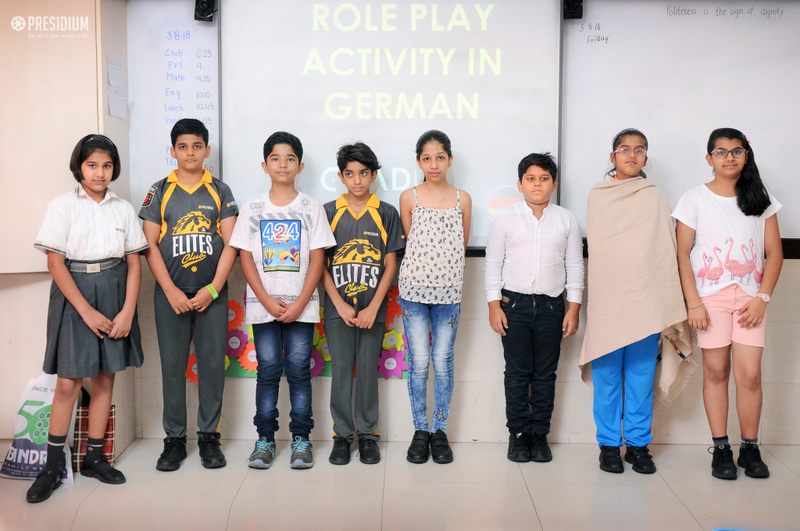 To make it even more interesting, the theme and dialogues of the recently conducted role play activity at Presidium Raj Nagar, were in German. 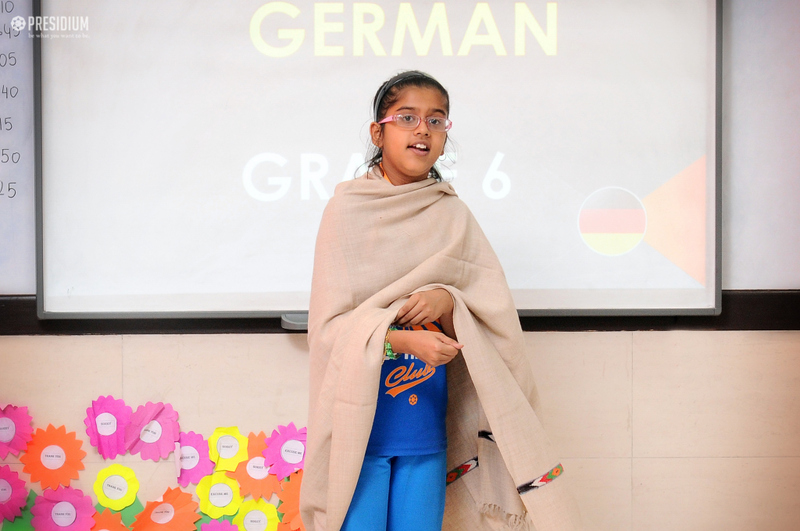 Students of grade 6 dressed up in relevant attires and enacted their characters enthusiastically. 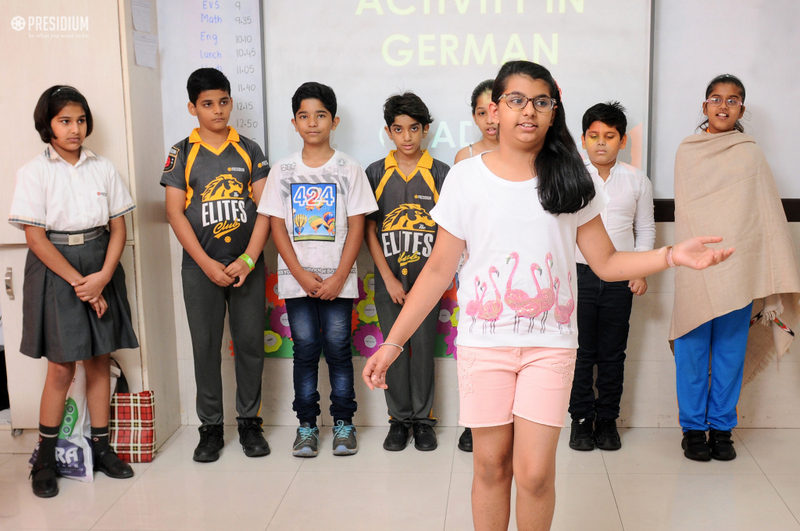 They enhanced their vocabulary and learned about the grammatical structures of the German language. It was a new and learning experience for the Presidians.